The recent ‘blessed’ month has had to have been the most challenging I've ever spent. My first iftar was shared with hundreds of Syrian widows and orphans on the Turkey/Syria border, many of whom were spending their sixth Ramadan away from their homes. 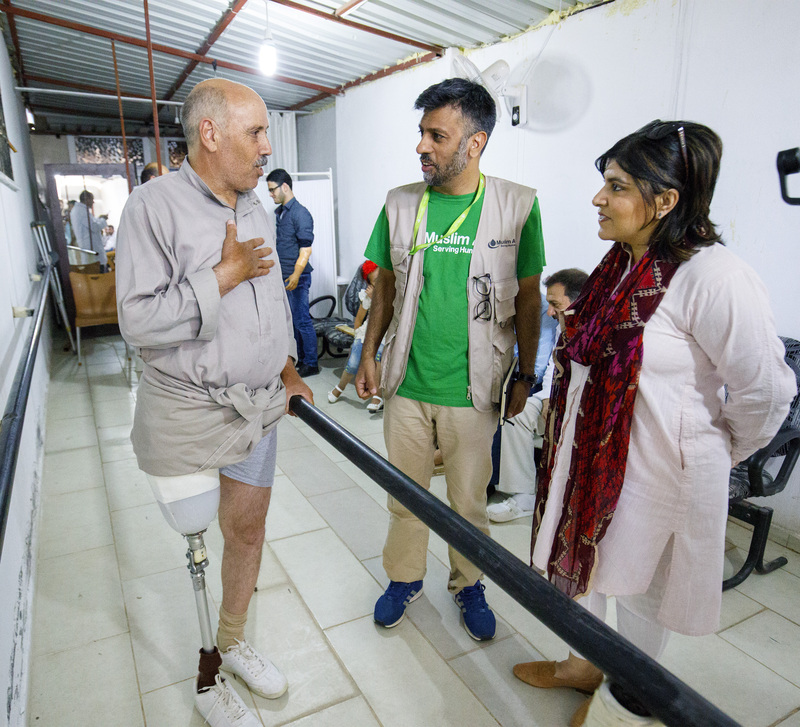 I reflected on what they had been through, I met a woman who had carried her disabled child on her back all the way from Aleppo, another woman who started her journey from Aleppo with four children and lost two in a missile attack while her remaining two both lost limbs. I thought hard about the call to develop our compassion, kindness, humanity and spirituality, particularly hard in the first few days as my body struggled to manage without food and drink during the day. All our communities, Muslim and non-Muslim, showed such solidarity during the recent attacks - Manchester, London Bridge, Finsbury Park. Messages of hope have shone through like the Great Get Together initiative in memory of Jo Cox. The beauty of the community response is beyond words. 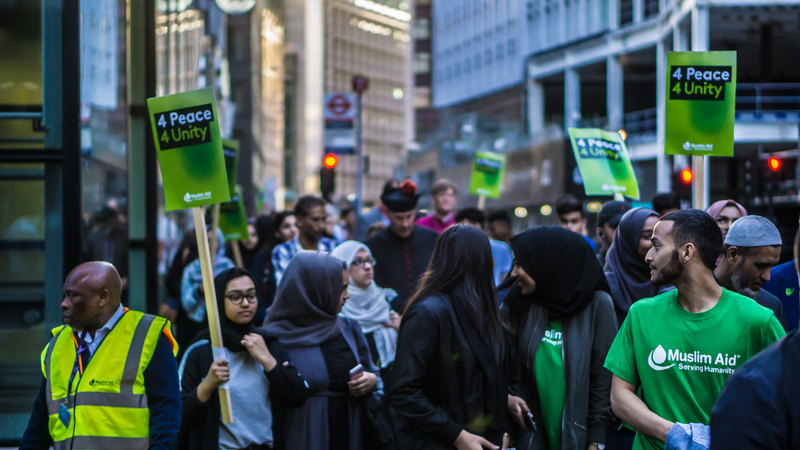 Ten days in to Ramadhan, exactly a week after the London Bridge attack, I had the honour of walking with the Bishop of Fulham and other prominent Christian leaders at Sunset from St Paul's Cathedral to the East London Mosque, and the joy of an interfaith ifthar which echoed the themes of unity Jo stood for. Mohammed Mahmoud, the heroic Imam at Finsbury Park who saved the terror suspect, also stands for these themes. And then Grenfell…Grenfell where Muslim Aid staff rushed to the scene during the early hours of the morning to witness the horrors of a fire that engulfed the tower. 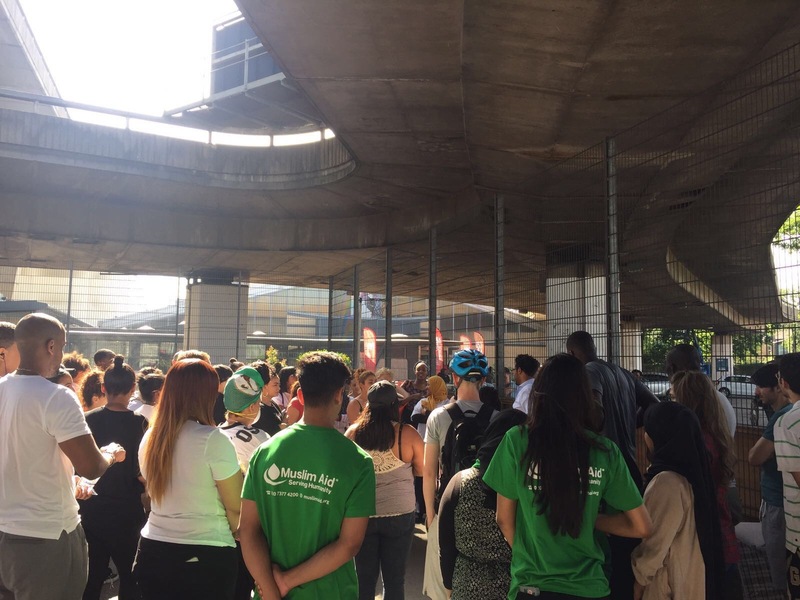 In the aftermath of the disaster the Grenfell Muslim Emergency Response Unit (GMRU) was set up and provided short term accommodation, access to hot meals, sanitation, counselling and adolescent services as well as arranging funeral services of the victims of the most devastating disaster that I have witnessed in the UK. Grenfell saw the best of humanity coming out in all its forms- communities once again standing in solidarity with survivors. Mosques, churches, temples, sports centres and open spaces provided to share the sorrow and grief of this unfolding tragedy. Donations pouring through the doors from celebrities, businesses and the general public. Volunteers from all faiths and none worked side by side tirelessly. Grenfell has shown that we need to address the terrible price of inequality that plague our communities. I have witnessed these inequalities in disaster zones elsewhere around the world. Being a witness to disaster in the UK has certainly exposed my eyes to what the disadvantaged face in life and in death. The most disadvantaged always suffer most from the mistakes of the powerful. When equality is permitted to flourish, it effects bear down on those who do not have power to stand up and advocate their concerns. "Darkness cannot drive out of darkness, only light can do that. Hate cannot drive out hate, only light can do that." We at Muslim Aid pray for all the victims that have survived and those who have passed on and for all those that have witnessed tragedy over Ramadan 2017.